The University of Maine clean room in the Sawyer Environmental Research Building. The University of Maine Cosmogenic Isotope Laboratory, housed in the Sawyer Environmental Research Building. The facility brings the capabilities to prepare targets and mineral separates for 10Be and 3He dating in support of earth science. Our lab prepares 10Be samples for low-level isotope analysis by accelerator mass spectrometry. We are set up to take 10Be samples from hand sample to cathode in our facility. After rocks are crushed and sieved, they move to our ‘dirty’ mineral separation area, where they are purified to clean quartz. Beryllium extraction from the quartz takes place in a separate clean room. Targets are processed at the Lawrence Livermore National Laboratory accelerator (https://cams.llnl.gov/cams-competencies/earth-system-processes). Full procedural blanks typically return 10/9Be ratios on the order of 10-16. 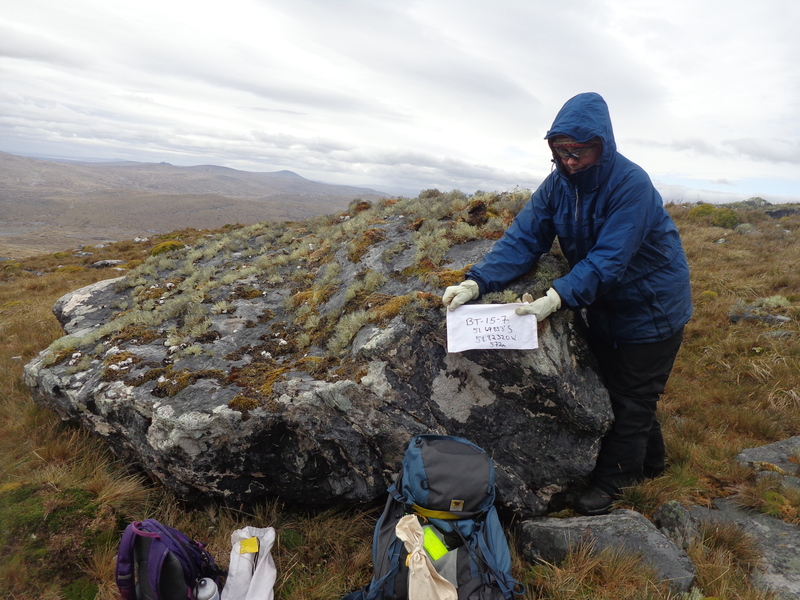 A rock sample collected in the Falkland Islands. This sample, and others like it, will be crushed and ground into fine sand before undergoing the chemistry in our lab. 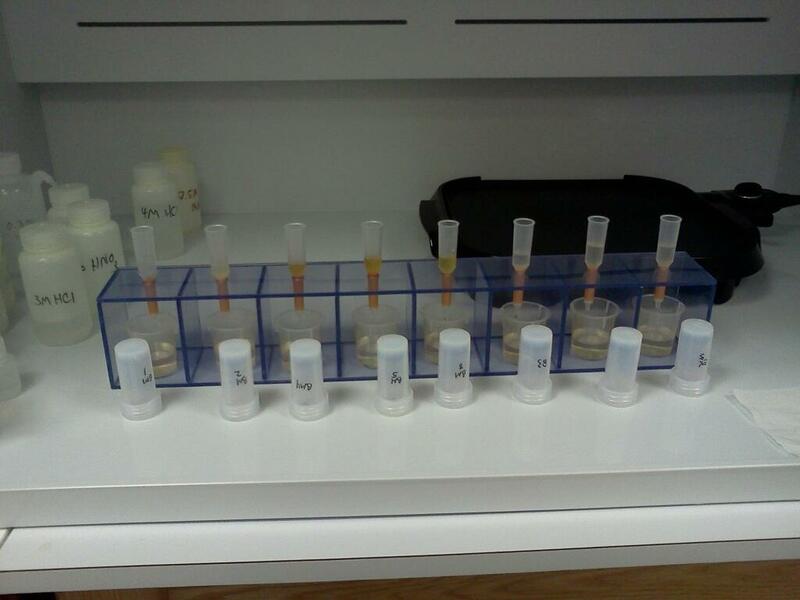 A batch of samples in the column chemistry phase. The laboratory has been calibrated using CRONUS standards and has yielded results within the normal range of a laboratory intercalibration study (Jull et al., 2013). 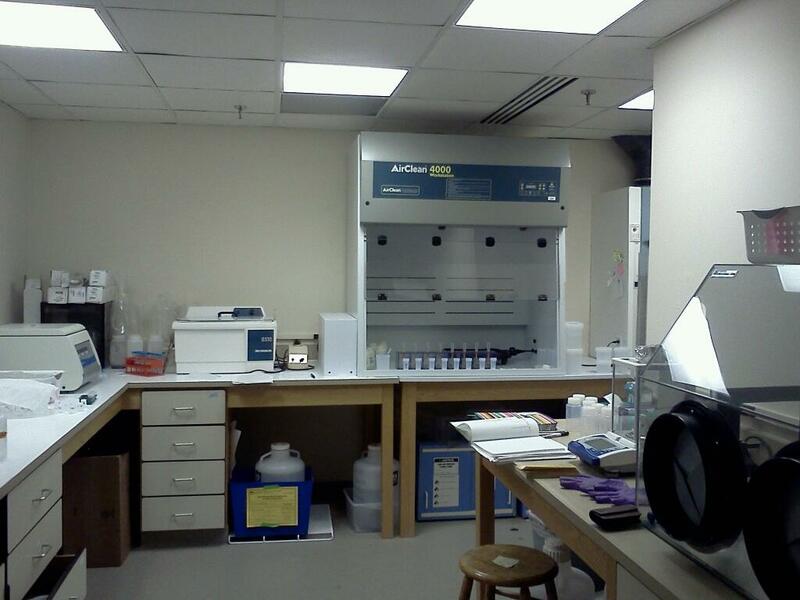 Our laboratory also has been cross-calibrated with the University of Washington using an internal standard. Jull, A.J.T., Scott, E.M., and Bierman, P., 2013. The CRONUS-Earth intercomparison for cosmogenic isotope analysis. Quatenary Geochronology, in press.